This plaque has 3 hearts but we can add more. 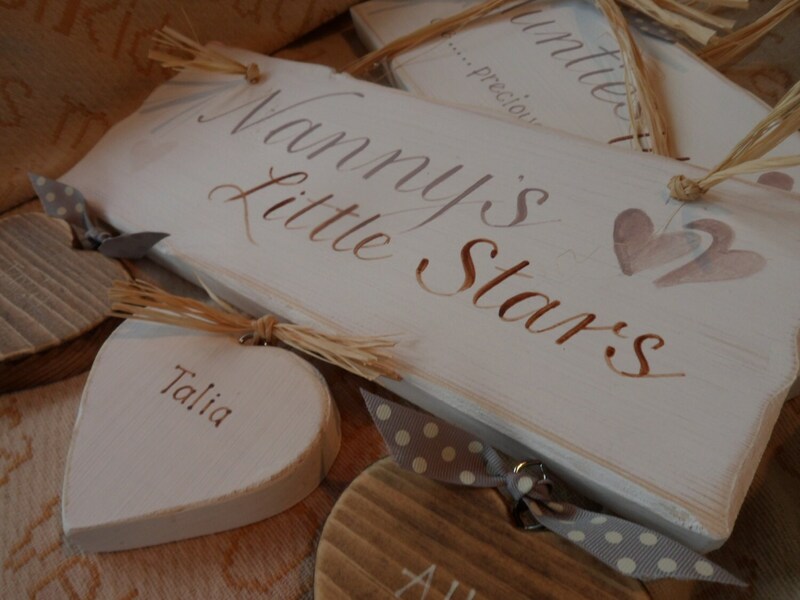 Personalised with names on the little hearts or stars and finished with a central wicker heart., For additional hearts and names please message and we will make a custom plaque for you. 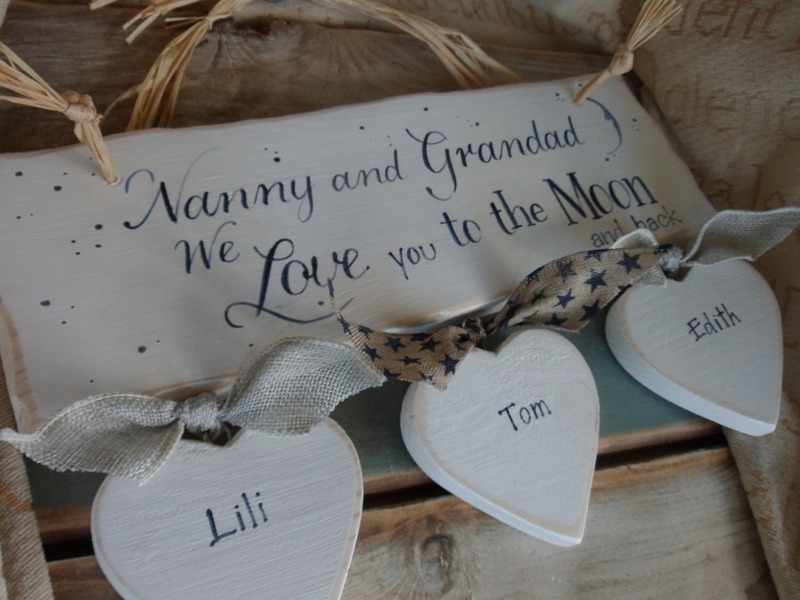 Our handmade wooden plaques make a lovely gift for grandparents. 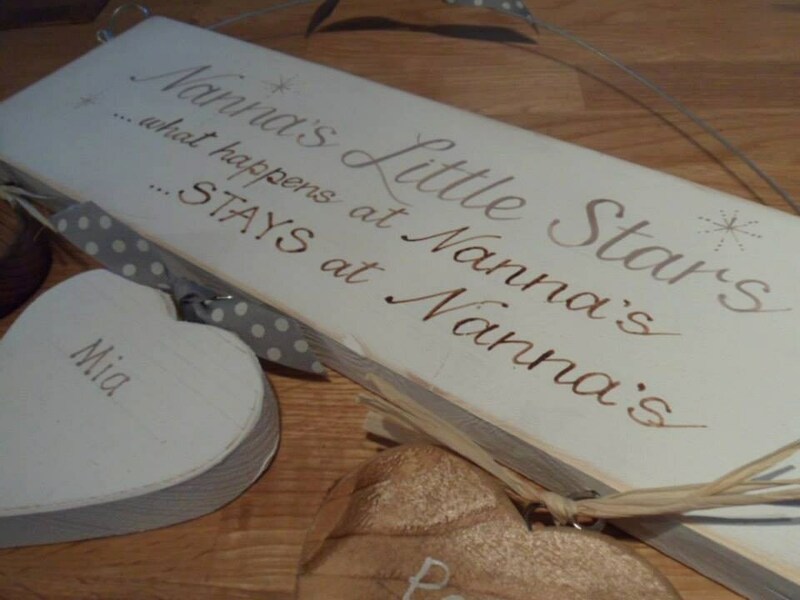 Made in a shabby chic style each plaque is handmade and hand painted. Absolutely love it! 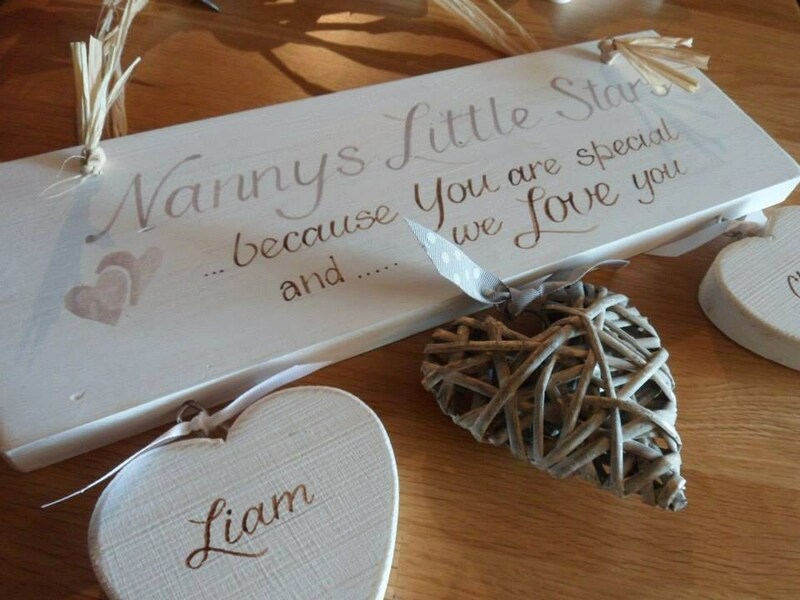 Nanny loved it too 💕 thank you so much! It even smelled of freshly cut wood so nice! You could charge a lot more for something this amazing!! 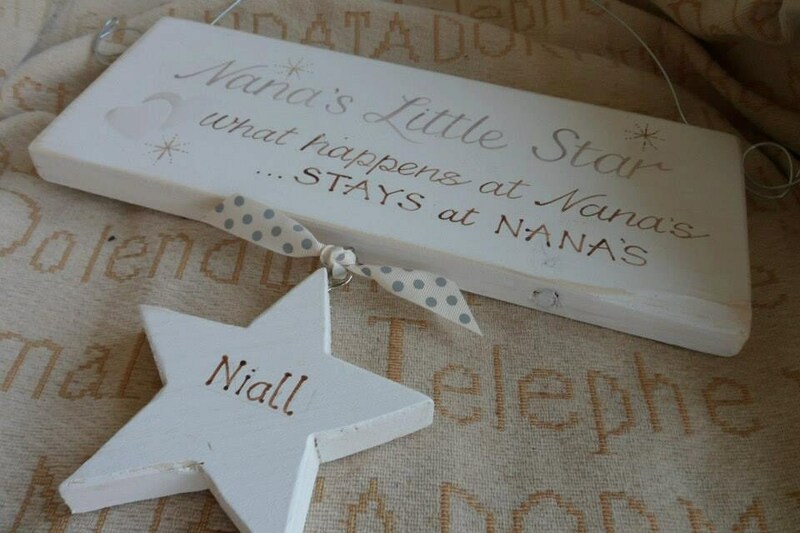 This is a beautiful and unique gift that i'm sure my wee boys nana will love.